Spousal support or alimony is basically financial support provided by one spouse to the other spouse following their divorce or separation. Generally speaking, the court orders alimony a spouse so that he or she could cope with daily necessities and living expenses. The main goal of spousal support is to help make certain that both ex-spouses could continue living the same lifestyle they’re accustomed to when they were married and living together. 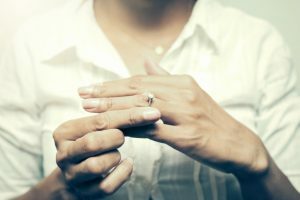 – Rehabilitative spousal support enables a dependent spouse to get the necessary training, education, and/or work experience in order that he or she could in time become self-supporting, explains a top divorce lawyer in Albuquerque. Depending on specific circumstances, the court might include a rehabilitation plan that a receiving spouse must follow in order to continue receiving spousal support. – Spousal support payments for an unspecified amount of time. – Transitional spousal support is used for supplementing the income of the receiving spouse. – Single lump sum spousal support payments could be paid in one or several installments and ends upon the death of the dependent spouse. – Single lump sum payments to be paid in one or several installments that could go on indefinitely. This means that even if the dependent spouse dies, payments should still be paid to the estate of the deceased spouse. In the event that the court doesn’t specify an end date, payments must continue indefinitely. However, either spouse could request the court for a modification of the spousal support amount according to “change in circumstances”. For example, when the supporting spouse gets laid off of work, or when the receiving spouse becomes capable of supporting her or himself. If the supporting spouse is delinquent in sending spousal support payments, the dependent spouse has all the right to request for wage garnishment. When this happens, the alimony payments could be withdrawn directly from the income of the supporting spouse. In addition, late payments might likewise accumulate interest until the supporting spouse becomes current on the payment. That being said, if you have any issues with spousal support payments, whether you’re the receiving or supporting spouse, discuss your case with an experienced divorce attorney.